With advanced build quality and heating control, the Prima 3000 has been designed to deliver ultimate straightening, curling and styling performance. 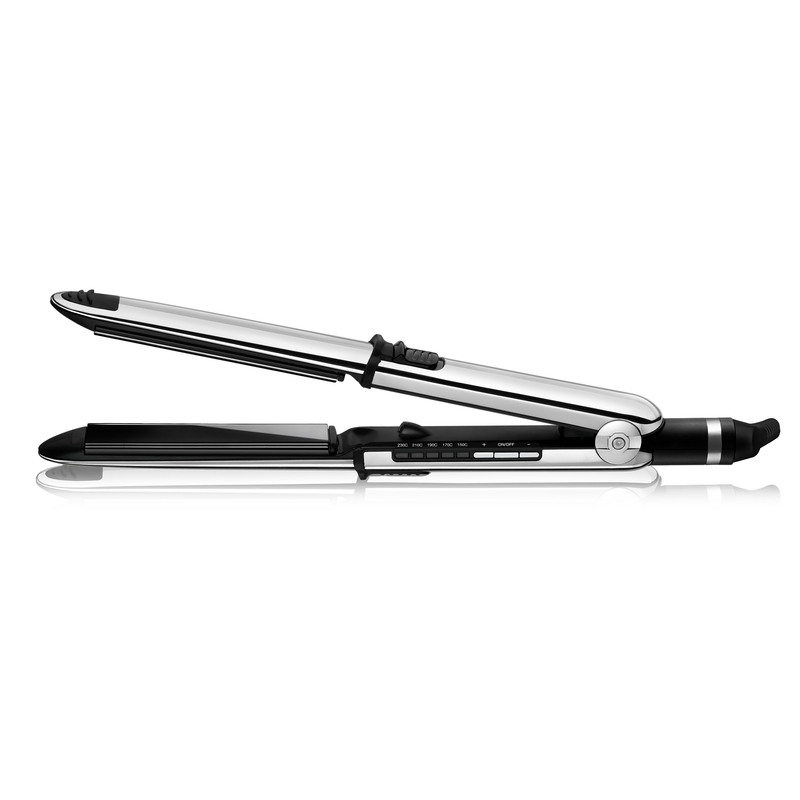 Strong, stainless steel casing provides perfect plate alignment to ensure total stability and control so that whether you straighten or curl, you are guaranteed reliable, consistent styling results. The true titanium floating plates give outstanding heat transfer into the hair so that you can still get great results at a lower temperature and the high-gloss finish of this premium metal provides snag-free, effortless glide and smooth curl creation. Ion boost technology produces a stream of active conditioning to remove static, smoothing the hair cuticle leaving every section frizz-free and beautifully shiny. With precise temperature adjustment to help prevent extreme heat damage and fast ceramic heat technology to ensure constant high heat across the plate at all times, this elegant styler guarantees an exceptional, lasting finish on any hair type.